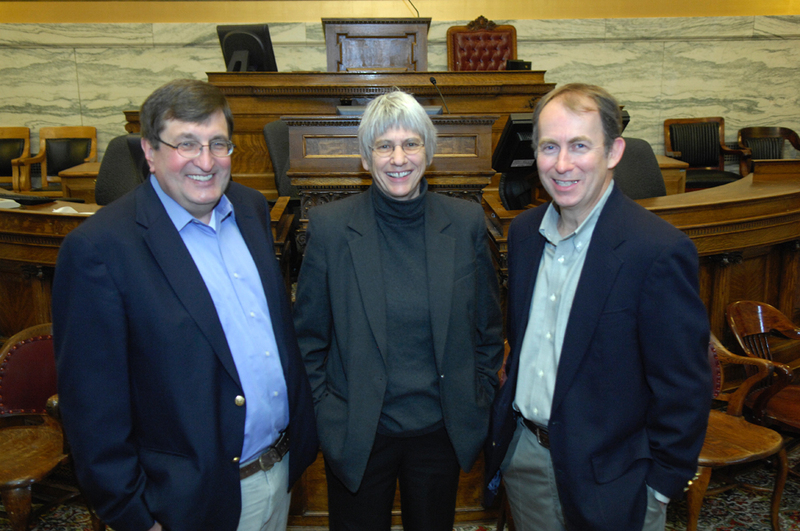 State lawmakers convene in less than two weeks for the 2013 Montana Legislature. Political leaders are touting what they hope will be a productive session, one perhaps more civil than the rancorous 2011 Legislature. At this point, however, those hopes are still just that. It’s been a long time since Republican Verner Bertelsen served in the Montana Legislature. The 94 year-old former Secretary of State felt lawmakers in his day had more freedom to act outside party dogma. “We had the opportunity to act as individuals and not as puppets on a string,” Bertelsen said. Bertelsen was known for being very moderate and voting with Democrats regularly. He did eventually lose his seat in the Legislature after losing his primary to a more Conservative Republican in the 1980s. Still, Bertelsen doesn’t like the tone he’s been seeing from modern legislatures, and the first reason he cites is the implementation of term limits in the early 90s. Legislative term limits were put in place by Montana voters in 92. That constitutional initiative was passed by a large majority, and term limits still enjoy wide public support. Lawmakers cannot run for an office if they have held that position for any 8 years in a 16 year period. Senate Minority Leader from the 2011 Legislature, Missoula Democrat Carol Williams is reaching the end of her term limit at the end of this year. She wasn’t able to think of any positives from the implementation of term limits. “With term limits the really serious power all moved to the executive branch or to the lobbyists,” she said, adding the part-time legislators cannot stay around long enough to gain that kind of clout. Williams also believes the rise of the Tea Party has made the state legislature more prone to bickering. She says Tea Party lawmakers didn’t seem to want to make government work in 2011. “Consequently, you can’t fix anything because that isn’t what their intention is, their intention is to make it go away,” Williams said. “What can you do to promote a greater tone of civility in the issues that will be heated and divisive?” I asked. ESSMANN: “I think number one the focus needs to be on policies and not personalities…There’s been a trend within our society to try to demonize people with whom we disagree and I’ve always tried to avoid that in my work in the legislature,” he said. But Essmann also says term limits have reduced the strength of leadership in the Legislature. Spokesman for Governor Elect Steve Bullock Kevin O’Brien says Governor Bullock will be a partner to anyone who wants to create jobs, but if “spear hunting and gold standard bills” reach Bullock’s desk, he says they will be rejected.